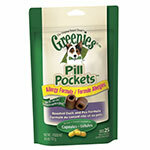 Greenies Dog Pill Pockets Duck and Pea Flavor For Tablets - 25/pk Case of 6. Nutritious dog treats that contain a built-in pouch, perfect for hiding a tablet, capsule or supplement. Dogs love the taste so much—they won't even notice there's medicine inside! 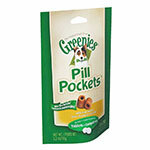 Nutritious dog treats that contain a built-in pouch, perfect for hiding a tablet, capsule or supplement. Dogs love the taste so much—they won't even notice there's medicine inside! 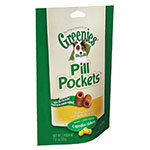 Greenies Pill Pockets (Case of 6) is a stress free pill delivery treat for your dog. 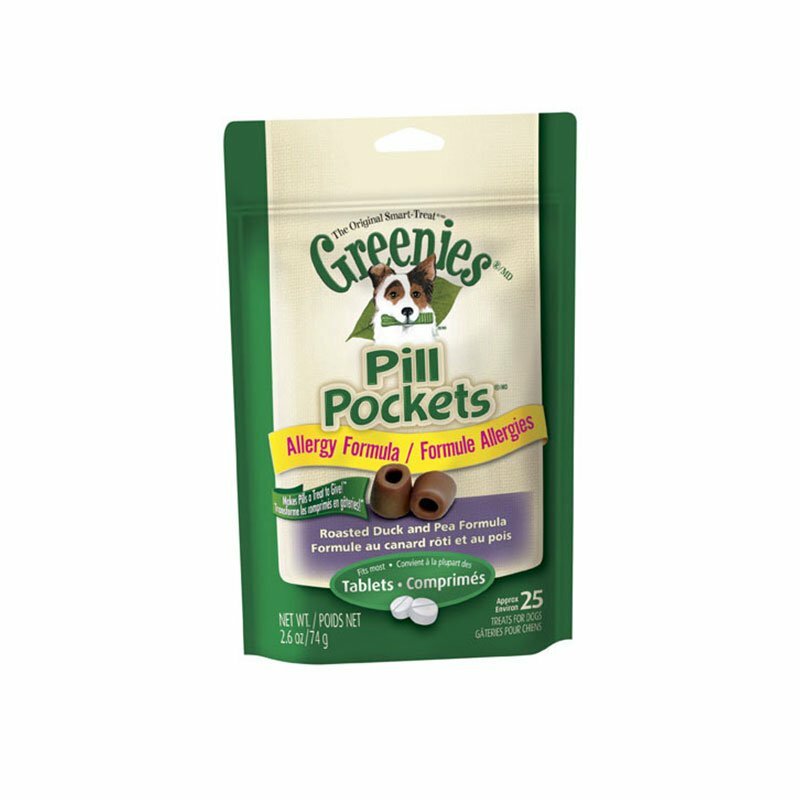 The tasty treat masks any hint of medicine, which then makes giving pills to your dog a positive experience! These treats were designed by vets and experts. So they not only help with the delivery of medication, but they are also a good source of vitamins C & E to promote a healthy immune system. My yorkie has alot of health issues and has to take 3 pills twice a day. He is also overweight and allergic to many things so I was very happy to find the grain free pill pockets at such a great price. Thanks! !